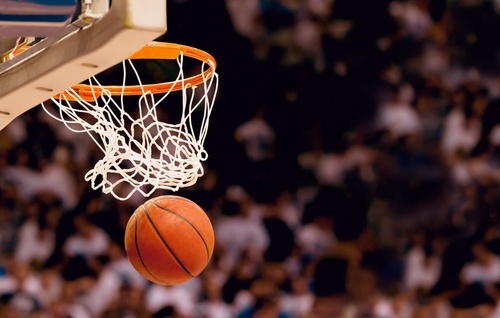 With major sporting events like the NBA playoffs and Boston Marathon coming up, how are brands finding ways to stand out? Read on for some sports marketing, a Mariah Carey commercial, and Netflix's latest marketing scheme. As the NBA regular season comes to the end, qualifying teams are getting their marketing strategies ready for playoffs. Playoffs have proven to be an exciting time for fans with new slogans, exclusive t-shirt designs, and limited edition jerseys. The Philadelphia 76ers' marketing team is especially pumped-up this year. Why? For the past five years, they’ve had to sell one of the worst teams in the league to their fans. Through multiple seasons of tanking, an NBA record losing streak, and constant rebuilding efforts, the 76ers administration has encouraged their fans to #TrustTheProcess. It seems to have finally paid off with this year, with the Sixers making the playoffs for the first time since 2012. The Sixers marketing team has extensively prepared with a new playoff logo, more brand ambassadors, and a fresh social media campaign. The new logo design featuring the Liberty Bell, a segmented snake, and the numbers "76" in the middle, is drawing attention from graphic designers and sports enthusiasts alike. The liberty bell obviously represents the infamous Philadelphia landmark, while the serpent in the design is a reference to the one found in Ben Franklin’s “Join or Die” cartoon from 1753, signifying the original divided colonies. According to a legend during that time, the serpent would come back to life if the pieces were put back together. The Sixers are putting their own spin on that legend, which they believe represents 'coming together.' The successful season and marketing efforts have been rewarded with an explosion in ticket sales. Next season is already sold out with a 10,000 person waiting list. But is all the hype enough to lure LeBron to their team? Only time will tell. What do you normally think of when you envision a hostel? Maybe a run down room shared with 5-7 other people? Well, Hostelworld is trying to change this stereotype with a new ad. In their new commercial, self-proclaimed diva Mariah Carey, is accidentally booked a room in a hostel instead of a hotel. And while she was initially upset, demanding a “beautifully appointed private room,” the hostel points out that they do in fact have those. When Mariah is shown her room, she is instantly pleased and bursts into song. If a hostel can impress Mariah Carey, surely it can impress us too, right? Adidas Running is doing something special for their ‘Here to Create a Legend’ campaign. With the Boston Marathon approaching, the brand has committed to making 30,000 unique videos for all 30,000 marathon participants. With it being the 30th anniversary of partnership between Adidas and the Boston Athletic Association, this campaign is a monumental task. You may be wondering how Adidas plans on producing this many videos at once. Here’s how it works: the pace and split time data used from their running bibs combined with radioactive street mats, will allow them to capture individual videos using just seven cameras and a 20 person crew. Each runner will receive a highlight reel with scenes from the race against an inspirational soundtrack. Digital content producer, Netflix, is attempting its largest acquisition yet offering over $300 to buy… an old-fashioned billboard company? Regency Outdoor Advertising owns billboards in prime locations across Los Angeles and the infamous Sunset Strip. This move by Netflix demonstrates how much they value physical advertising assets in it’s marketing strategy. With customer acquisition using paid social becoming more expensive and less consistent, amplifying a brand with eye-catching public visuals is becoming cheaper — thanks to those same networks. Entertaining or funny billboards are often photographed and shared on social media by viewers. Netflix made national headlines last year when “Netflix is a joke” billboards popped up across NY and LA. These billboards were purchased by Netflix themselves, in attempt to promote their own comedy shows. As most of you know, native advertising is a 'form of paid media where the ad experience follows the natural form and function of the user experience in which it is placed.' What you may now know is that, native advertising is estimated to comprise 60% of display spending this year. Mobile, social, are both believed to be the drivers behind the shift, and Amazon is the main reason for growth of native ads outside of social media and according to the study. “Non-social native will grow more than 80% this year to 8.71 billion.” Additionally, 77% of mobile display adds will be spent on native placements and 96% of social advertising will fall into the native category.